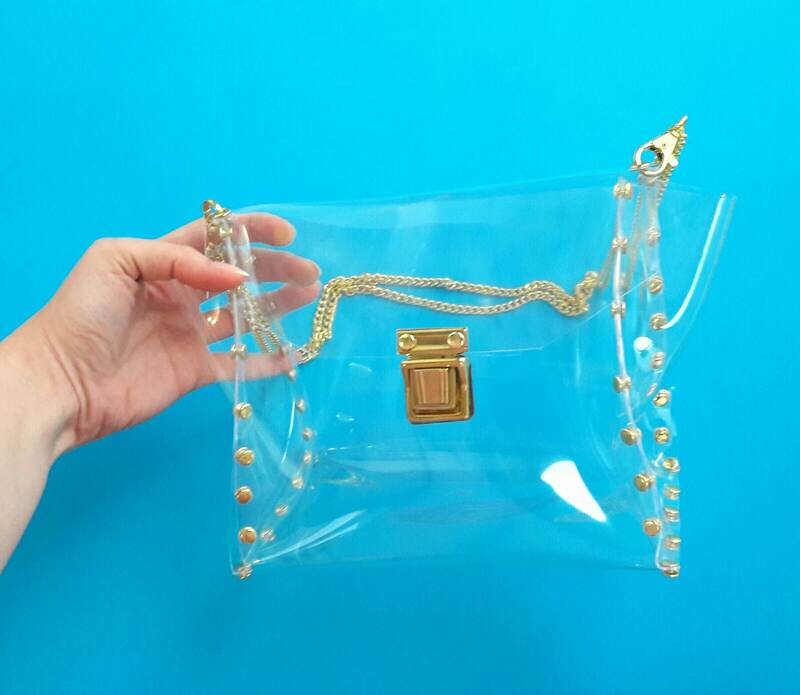 Clear deluxe bag, transparent glam handbag, pvc bag, vinyl nfl bag, lsu clear bag,premium unique clear bag, transparent purse with chain. 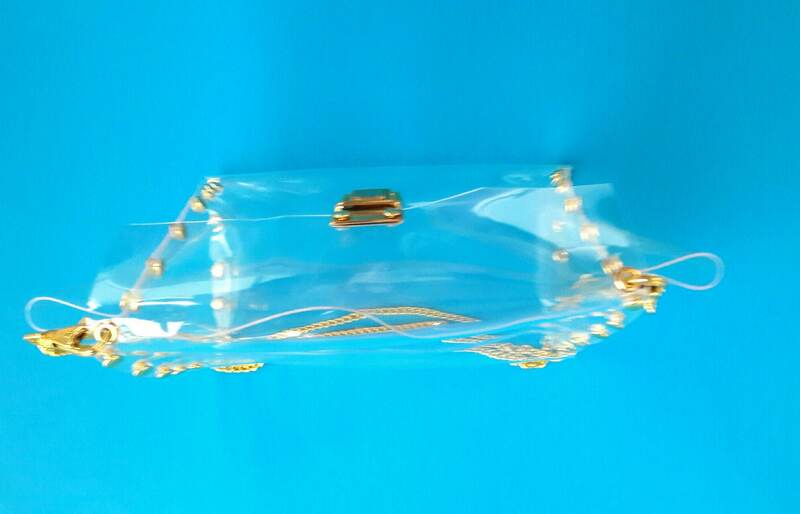 Dimensions: 21 x 18 x 11 cm / 8,26" x 7,01" x 4,33"
Made of thick, crystalline, flexible PVC, 100% vegan bag! 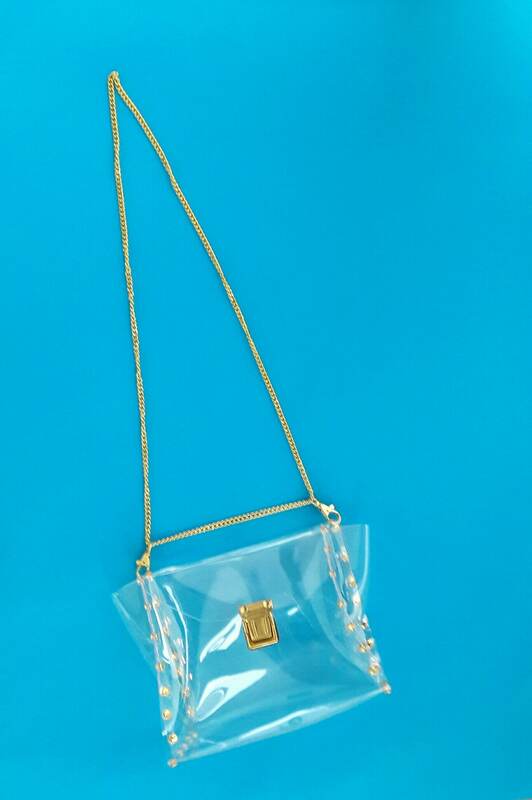 You can use it for shoulder and crossbody. 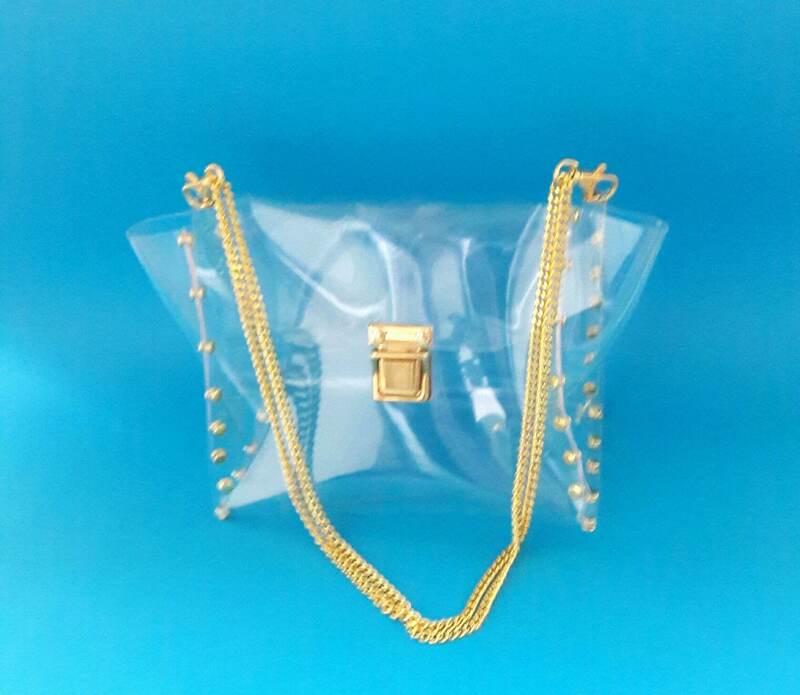 This is no ordinary handbag :) Unconventional addition to the date, wedding, unusual styling to each highlighting your personality!